New Delhi, Feb 26; The Supreme Court (SC) on Tuesday said that it might order mediation for the amicable resolution of the Ayodhya title issue as it defers passing of a formal order till March 5, the next date of hearing. 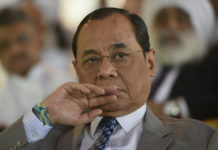 The five-judge constitutional bench, comprising Chief Justice Ranjan Gogoi, Justice S.A. Bobde, Justice D.Y. 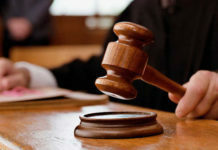 Chandrachud, Justice Ashok Bhushan and Justice S. Abdul Nazeer suggested mediation of the issue in the course of hearing of a batch of cross petitions challenging the 2010 Allahabad High Court verdict trifurcating the disputed site in three parts, giving one each to the Nirmohi Akhada, Ram Lalla and the original Muslim litigant. “We are considering the possibility of healing relations” between two communities, Justice Bobde said, adding “we as a court can only decide the property issue”. The suggestion however, was not accepted by the lawyers appearing for the Hindu parties. 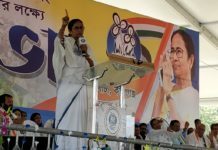 But those appearing for the Muslim parties accepted it noting that the mediation and regular hearing on the petition challenging 2010 Allahabad High Court judgement will go on concurrently. “On our side, we are agreeable so long it (mediation and hearing) is going concurrently,” senior counsel Rajeev Dhavan, representing a Muslim party, told the bench.